Hello! 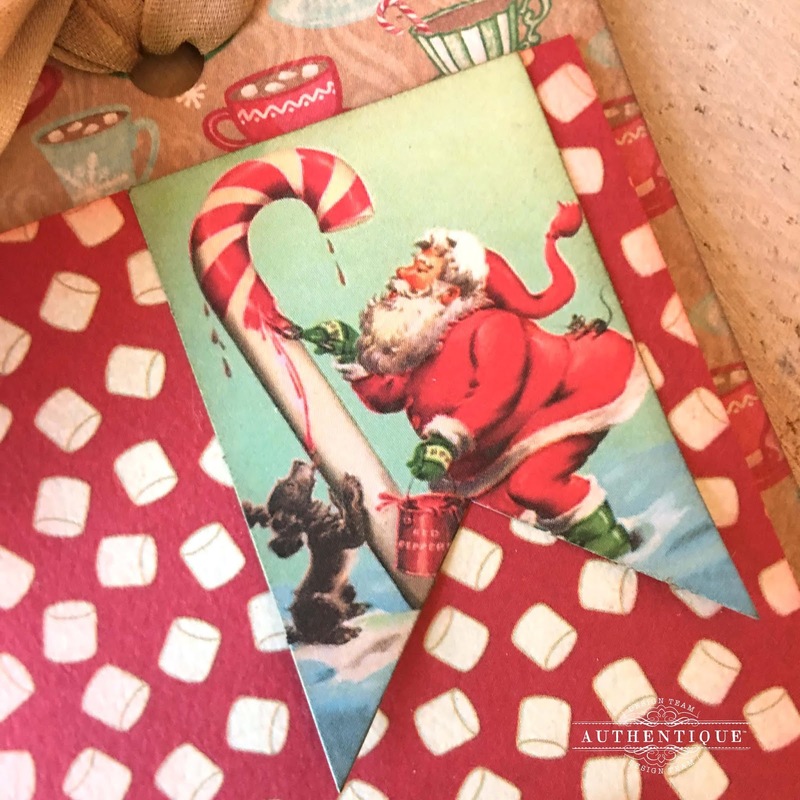 Day Two of Christmas in July is in full swing, and we at Authentique cannot wait to share with you the fun projects that each designer has created for you using our new Jingle Collection. Remember, at the end of the week, we are announcing a few new collections! For my Christmas in July project, I went with this 'maze' mini album. I got the idea for this mini from this YouTube video. The owner of this YouTube channel is a fabulous source of creative inspiration in my book. She has so many different tutorials that help inspire additional projects such as this one. 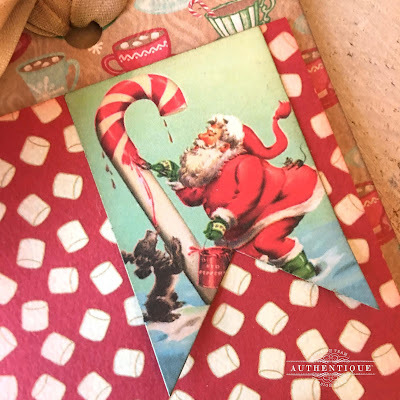 I took her idea on the 'maze photo card' & turned it into a 'maze' mini album shaped like a Christmas present in order to go along with the whole Christmas theme. I've used the fabulous 'Jingle' collection for this project. As shown here, I created a lid for my mini that also serves the purpose of a closure for the album. I've added a pocket to the inside top cover. The rest of the book unfolds pretty much the same as shown in the video tutorial. I did have to adjust the measurements since I 'roughly' translated the measurements that were in centimeters to inches & I also added gussets to each of the pages to account for the addition of photos on each page. Below is a brief video showing how the mini unfolds. It makes more sense as to why it's called a 'maze' mini album once you're able to see it in action. I hope this project inspires some of you to create your own take on this type of mini album. 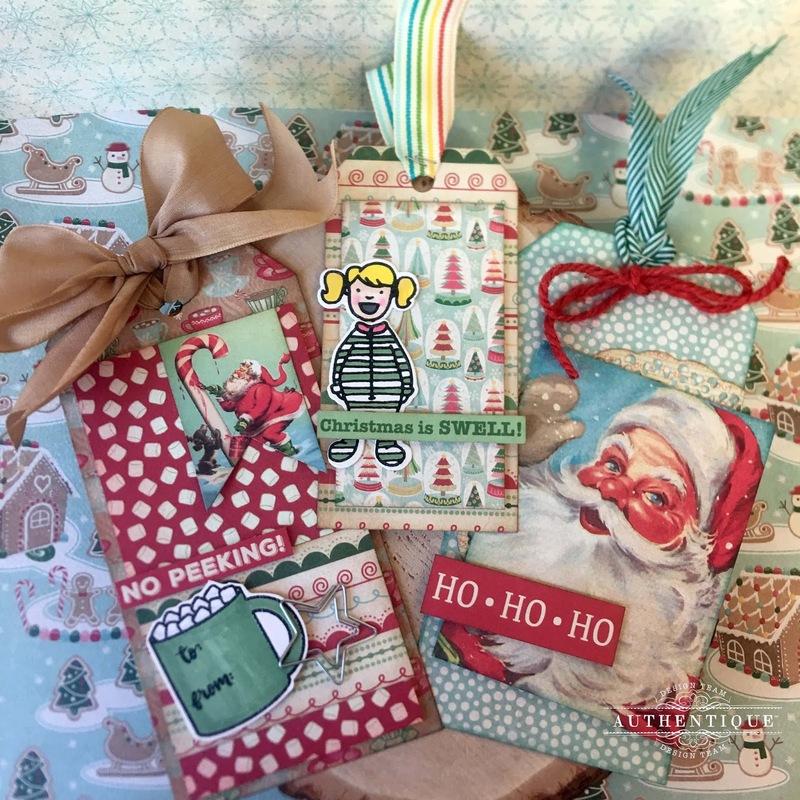 For today's post, I have a trio of fun Christmas Tags using our Jingle Collection. It was easy to create some wonderfully colorful and fun tags with a few of the 12x12" papers, some stamps, and ribbon ends that I had in my stash. The first of the tags that I had was this fun cocoa flavored tag. I paired a sweet little cup of cocoa stamp set from my stash with the wonderful papers from Jingle Three. The wonderful marshmallows were just too adorable. The adorable Santa image is from the NEW Jingle Elements, die cuts that are pre-punched out for you! Tags are a great way to use up some of those smaller elements that are just lying around in your stash. In this case, the star has been hanging out in my stash for over a year. 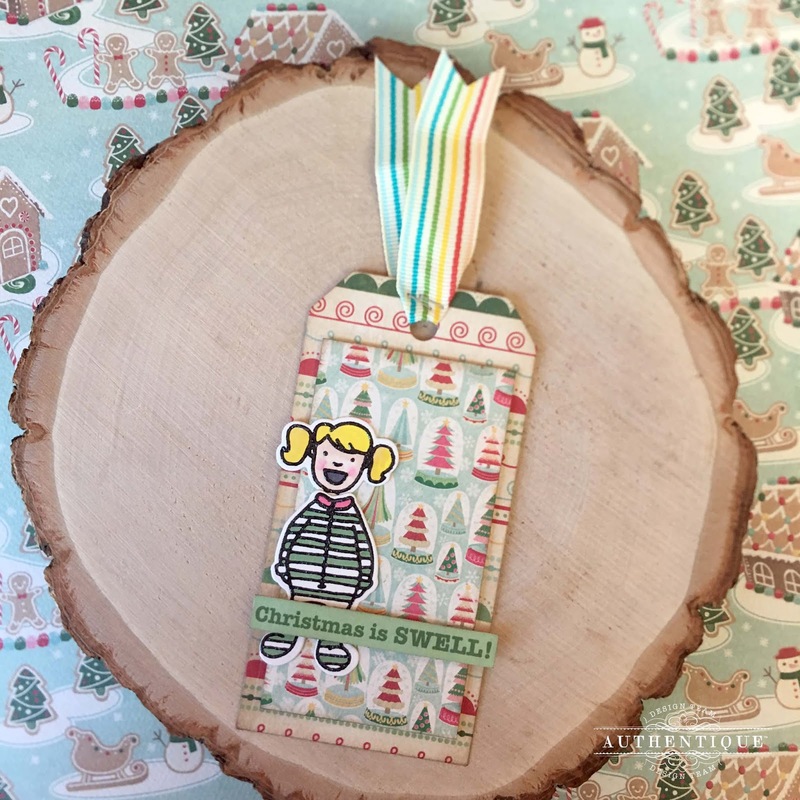 Use up those fun little details on tags! I couldn't resist pairing this wonderful image from the Elements sheet on this tag. The adorable Santa just looked perfect against the marshmallows of Jingle Three. 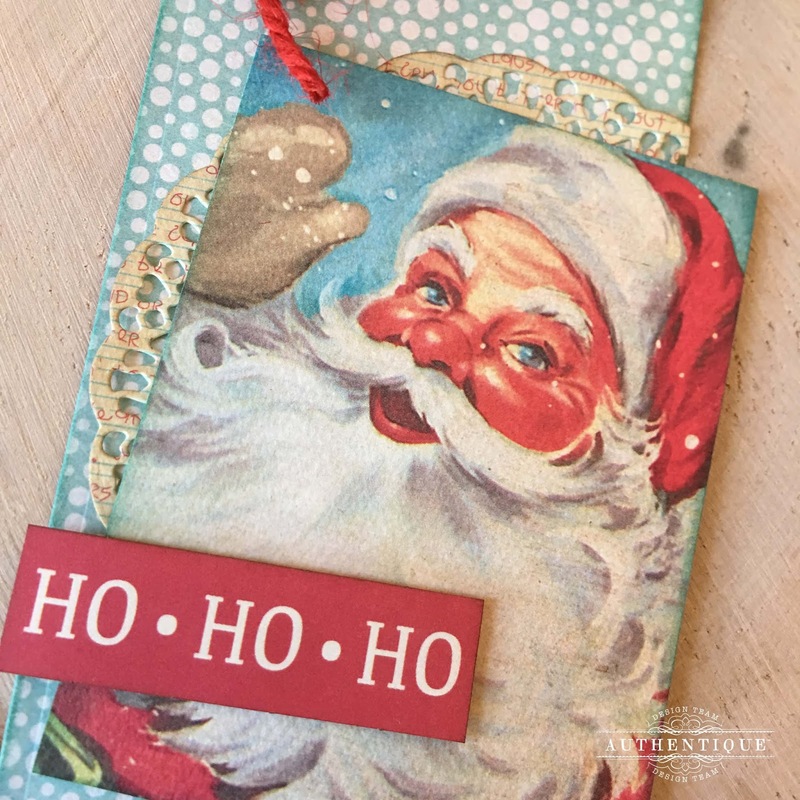 The second of the trio of tags focused on the wonderfully, vintage Santa from the Jingle Eight cut-apart sheet. The doily behind the Santa was from the reverse of Jingle One. 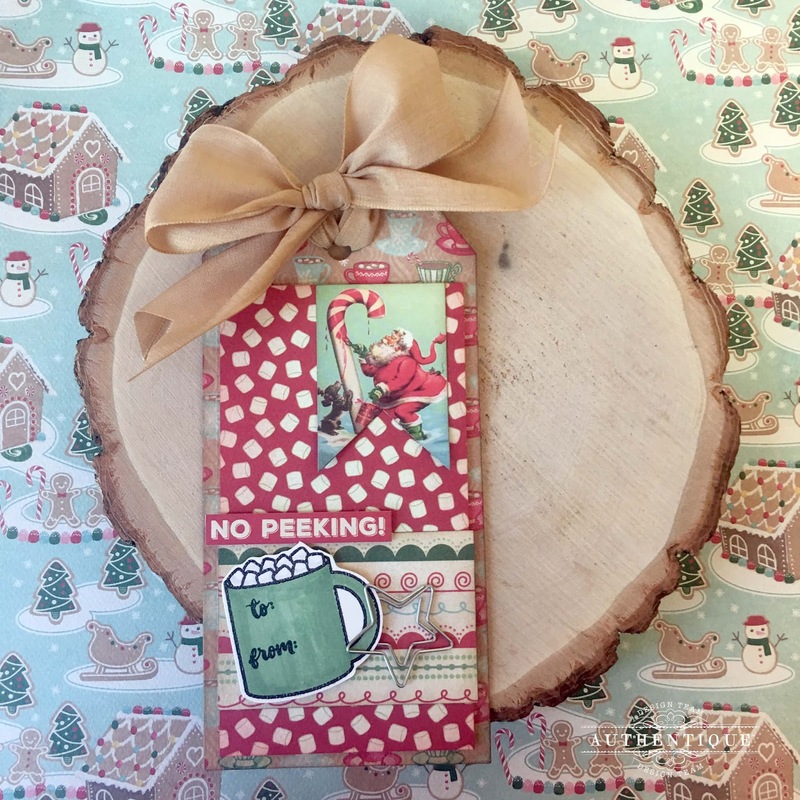 I loved the peek-a-book look of the patterned paper behind the main image. Again for this tag, I used little scraps of ribbons to create the attachment bows. Don't be afraid of using just small ribbons. 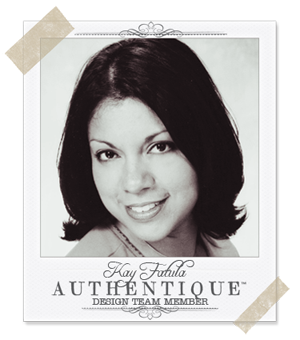 By using a tiny attatcher or stapler, you can secure even the smallest of ribbon scraps. 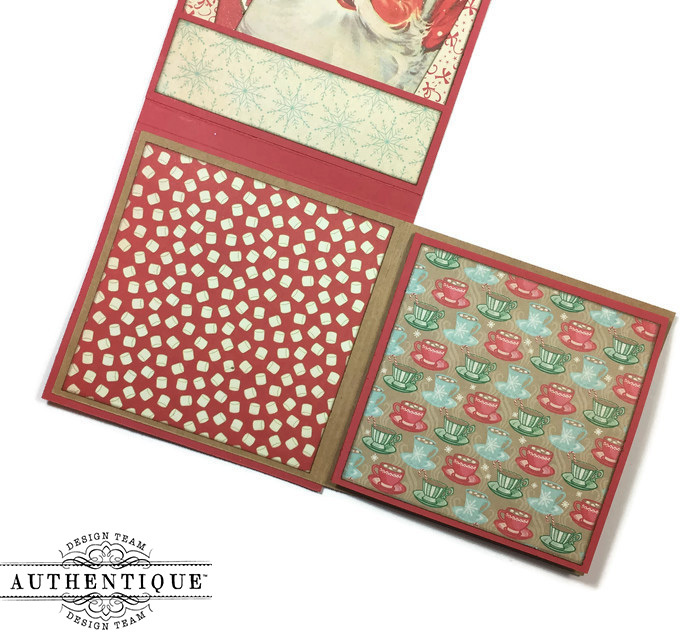 For the last tag, I pulled out one of my absolute favorite Christmas stamp and die sets, Light Parade by Brandi Kincaid. I just love this image of the little girl (there is also a boy). 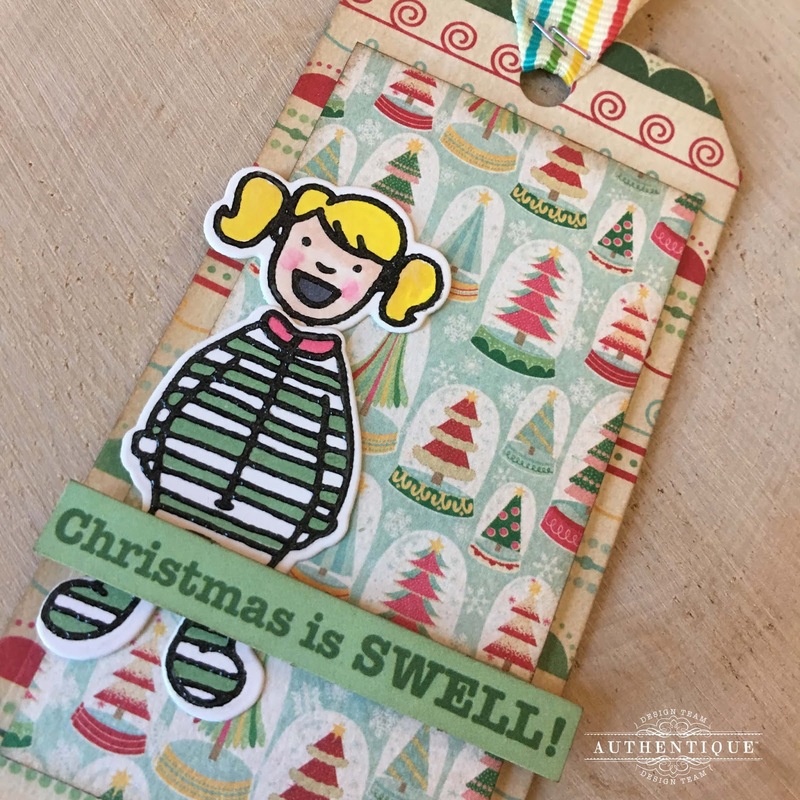 I colored her to mimic one of my own little girls, and paired a non-traditionally Christmas rainbow ribbon scrap with the fun patterns of Jingle Two. 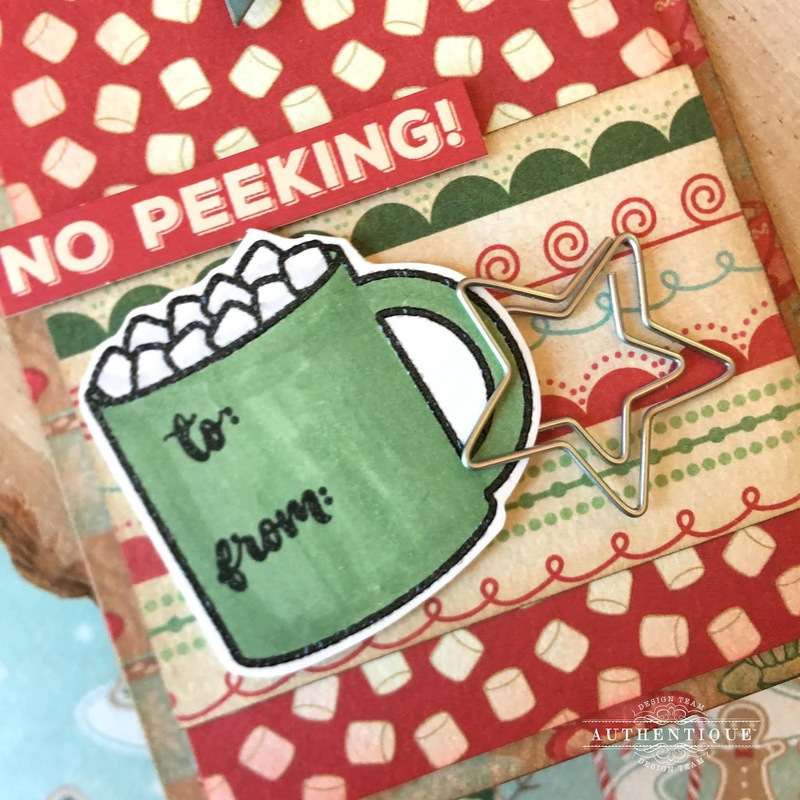 I really loved the little Christmas tree snowglobes from the Jingle Two paper, and the sentiment from the Elements die cut page. The colored image works perfectly with all of the papers. 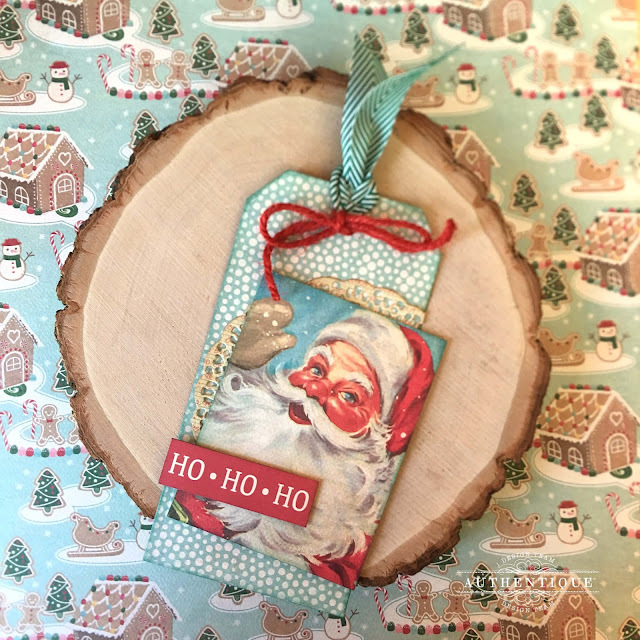 I hope this inspires you to start your Christmas tag collection going! 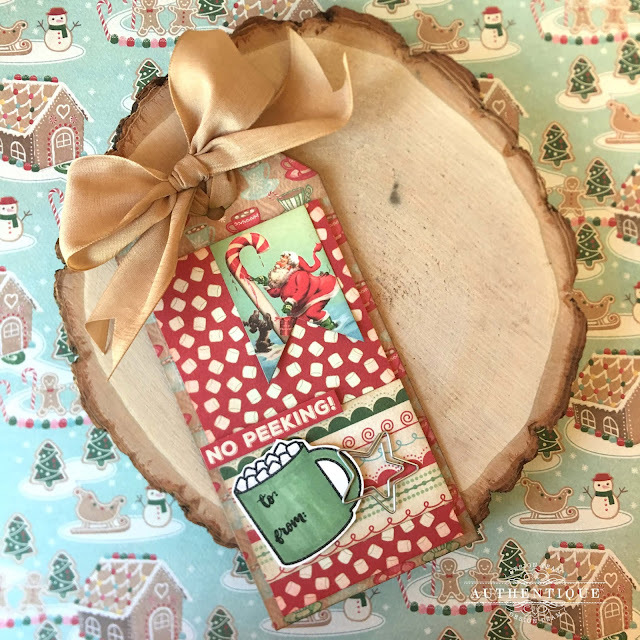 I cannot wait to add these to my Christmas tag stash, for those extra-special presents! This is so festive, I just love your tags! Jingle is such a fun collection and a must have for sure!